Increasing stability in the Democratic Republic of Congo, which has the second largest forested area in the world, could result in the forests falling under threat from development, so the government is launching a pay-for-performance avoided deforestation program seeking $50 million a year from the private sector. 6 October 2014 | The forests in the Democratic Republic of the Congo (DRC) do not get nearly as much attention as those in Brazil and Indonesia, even though the DRC’s forests rank right in the middle of those countries on the list of the top three forested areas in the world. The DRC holds 155 million hectares of forests, more than 50% of all of Africa’s forests, and the country’s iconic Congo Basin is second only to Brazil’s Amazon forest in size roughly 540 million hectares and is larger than the 90 million hectares of forests in Indonesia. Brazil and Indonesia are both beneficiaries of pledges potentially valued at up to $1 billion from Norway to support their efforts to conserve their forests. But the DRC has yet to receive that level of commitment from either donors or the private sector, in large part because the civil war that led to the deaths of six million people in the country also perversely protected the DRC’s forests from widespread destruction. In late 2013, however, the main armed rebel group agreed to a peace treaty, which paves the way for increasing political stability in the country. With that political breakthrough comes much-needed development, and with development come increased risks to the DRC’s forests, which, if destroyed, could potentially release 140 billion tonnes of greenhouse gases. Now, donors and investors have a unique opportunity to prevent widespread deforestation before it occurs. To counteract potential forest destruction, the DRC government is launching a new pilot program to safeguard nearly nine million hectares 10% of the DRC’s forests in an area the size of England in the districts of Mai Ndombe and Plateau using the UN REDD+ (reducing emissions from deforestation and forest degradation) mechanism. 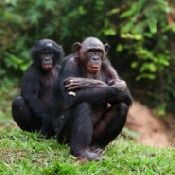 The area to be protected from deforestation is home to more than 1.8 million people and endangered species some living in Salonga National Park such the bonobo, the great ape that is the closest relative to humans and lives only in the DRC. It is also the site of the largest wetlands on the Ramsar List of Wetlands of International Importance, which originates from the global convention governing the sustainable use of wetlands. The area is the closest forest area to Kinshasa, the capital city, meaning it is also under threat from the growing charcoal, timber and food needs of nearly 10 million people, in part because of transportation infrastructure improvements making the forests more accessible. “Our country believes with good regulation we can participate fully in the solution to climate change, Minister N’sa Mputu Elima, Minister of Environment, Conservation of Nature and Tourism for the Democratic Republic of the Congo, said during a Climate Week NYC 2014 event. Continue reading (for free) on the Forest Carbon Portal. ← Is There A Right Price For Carbon?